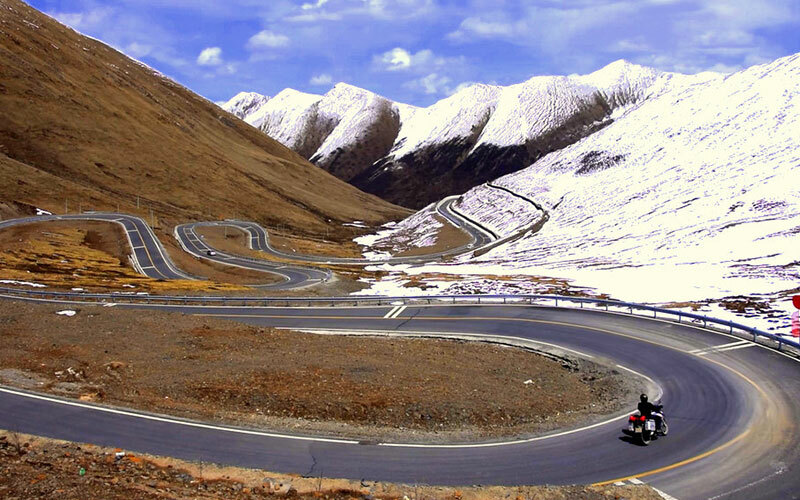 Get a chance to explore the three Countries in one itinerary Tibet, Nepal & India. The tour from Tibet to India consists will start with arrival in Lhasa with 03 nights stay in Lhasa and 04 the day leave Lhasa to move for Shigatse via Gyantse. The very next day from Shigatse you will move ahead towards the Everest Base camp via Tingri which is at an altitude of 5200 m. The next destination comes the Gyirong which lies between the border of China and Nepal. Now we finally reach Kathmandu the capital of Nepal, in Nepal we will stay at Kathmandu, Chitwan National PARK & Lumbini – the birth place of Lord Buddha. From Lumbini take a drive to Varanasi which is the holiest city of India with the presence of the holy river Ganga. In India a visit will be given to the Varanasi, Lucknow – the city of Nawab’s, Agra – the love monument Taj Mahal, and finally to Delhi with which the tour comes to an end. Arrive Lhasa by flight or train, on arrival an assistance person will greet you and guide you to the pre-booked hotel. You may have a view of the Yarlung Tsangpo River / Brahmaputra River which is the longest and the largest river in Tibet. 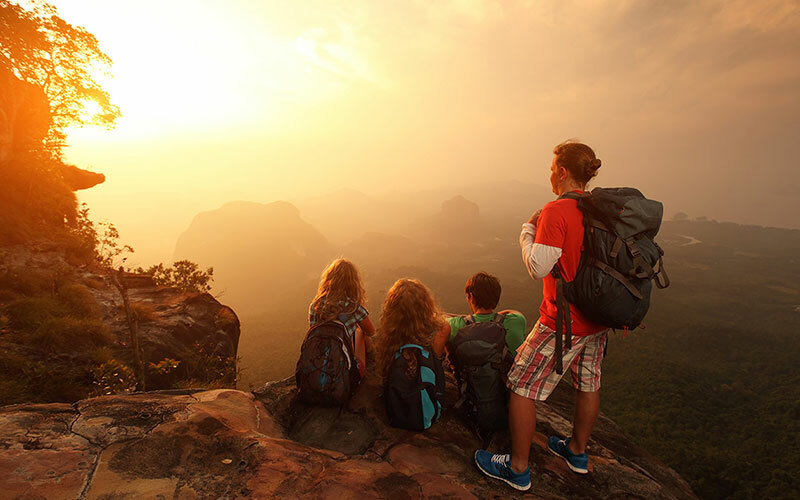 It is suggested to take some rest and get acclimatized to high altitude. Overnight stay at Lhasa. Today your city tour will start from the Potala Palace built on a high land the magnificent can be viewed from different locations of Lhasa. In 1994 the building was listed in the World Cultural Heritage as a sacred symbol of Tibetan Tourism Culture. After that visit the famous Jokhang Temple which is one of the most sacred temples in Tibet , with an architecture combining of Nepal, India & China. Nearby is the local market called Bakhor where one can do Kora (a religious circle of a building or mountain) within pilgrims and locals, and explore the old market. Overnight stay at Lhasa. Morning after breakfast visit Drepung Monastery was founded in the year 1416 by Jamyangchoge, one of the Tsong Khapa’s main disciples. You can also give a visit to kitchen inside the monastery and enjoy the visit biggest monastery kitchen inside the monastery and enjoy Buddhist Sculpture Carving workshop near Drepung. In the Afternoon, one can give a visit to Sera Monastery which is dedicated to Gelugpa or Yellow Hat Sect a branch of Tibetan Buddhism, founded by Tsong Khapa. The biggest attraction of this monastery is a debate between the monks which takes place around 3-5 pm. You can also take a tour to Tibetan religious scripture; inside the monastery you will find three sand Mandalas and colourful Rock Painting of Buddha. In addition, you can tour the Tibetan religious scripture printing house; inside the monastery, you can see three sand Mandalas and colourful Rock Painting of Buddha. Overnight stay at Lhasa. Morning after breakfast drive for Shigatse via Gyants – the “Heroic City” because it was a major site for battle during the British invasion in 1904. . On the way, drive over the Gampala pass (4790 m), from where you can have a view of Yamdrok-tso Lake (4400m). The Lake is among the three largest sacred lakes in Tibet. The Yamdrok-Tso Lake is surrounded by many snow-capped mountains at a distance you can have splendid view of Holy Mount NyenchenKhangsar, (7191m) the highest mountain near Lhasa. Not so far from the Yamdrok-Tso Lake you will call across the Korola Glacier you will see the imposing Karola Glacier towering aloft on the right side of the road then continue your drive towards Gyantse. Gyantse is the third largest city of Tibet, over here for sightseeing we will visit the famous Pelkor Monastery and Gyantse Kumbum, later enjoy a far away view of Gyantse Fortress. After sightseeing of Gyantse head towards Shigatse the second largest city in Tibet. In Shingatse you can visit traditional Barley Mil and view the landscape of Barley Field (in summers). Overnight stay at Shigatse. In the morning, give a visit to Tashilunpo Monastery which is home to Panchen Lama. Then, we’ll leave Shigatse after getting travel permit drive for Everest Base Camp (EBC) via Tingri. On the way you will pass through Tsola Pass (4600 M), Gyatsola Pass (2548 M), shortly when we enter Mt. Everest National Nature Reserve, you can enjoy the overview of Himalaya at Gawula Pass (5198 M). Later continue you drive along the zigzag roads to Everest Base Camp (5200 M). Overnight stay at Everest Base Camp. Morning get up with a beautiful view at Everest Base Camp and then visit RongbuK Monastery which is a very unique monastery with the highest number of nuns and monks living together. You can take good picture from the Everest Base Camp of Mt. Everest. As it is the Later, we can take good and clear pictures from the Everest Base Camp of Mt. Everest as it is very close to EBC. 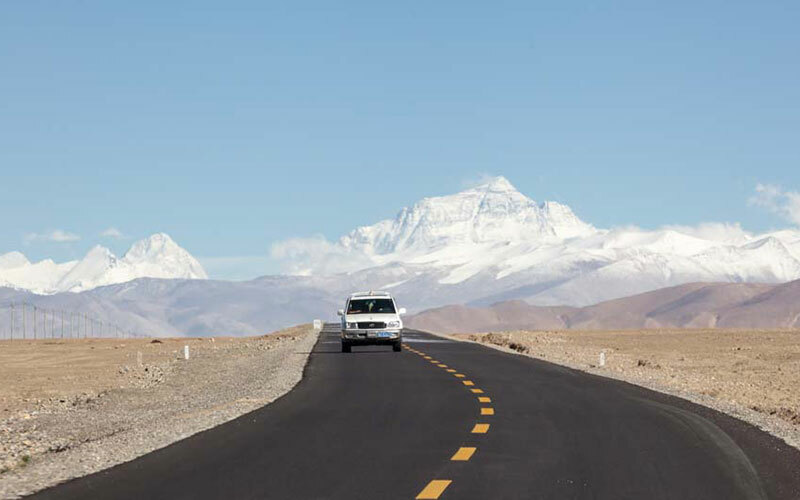 After that we will drive from EBC to Kyirong border – the main port between Tibet and Nepal. On the way tourist can enjoy a magnificent view of Mt. Shishapangma and the Pekutso Lake. Once passing the Ghungtang Lhamo (5236 M), later afternoon you will arrive Kyirong. Overnight stay at Kyirong. Morning after breakfast drive from Gyirong then take a short we walk to the Nepalese immigration control in Rasuwagadi, complete the re-entry formalities and get transferred to the pre-booked hotel in Kathmandu. Overnight stay at Kathmandu. Morning breakfast at hotel then continue for then sightseeing of Kathmandu visiting – Pashupatinath Temple – a temple dedicated to Lord Shiva and Budhanilkanth Temple – dedicated to Sleeping Lord Vishnu. Overnight at Kathmandu. Morning after breakfast our representative will pick you up from the hotel to move ahead towards Chitwannation Park. You will take a 5-hour scenic drive to Chitwan, Sauraha, along the banks of the Trishuli and Narayani rivers. On arrival Chitwan Bus Park you will be greeted and escorted to your lodge for check-in and will be briefed about the lodge, the facilities and programs of the day. Take some rest then at 3pm you will have a village tour in the Tharu community where you will learn about their lifestyle and culture. You can also visit the National Park Visitor's Centre where you can learn more about the history of the National Park and its wildlife. If wants can also enjoy the Tharu cultural dance presentation by the local villagers a slide shows presentation about Chitwan. Overnight stay at Chitwan National Park. Morning wakeup call will be given as per the pre decided time, later take buffet breakfast and then proceed for bird watching and canoe riding along the Rapti River. Here you can see two rare species of crocodiles - the Marsh Mugger and Gharial. On the way back, you will walk through jungle where you can witness species of flora and fauna. Later, continue your jeep safari which will provide you with an excellent opportunity to see four different kinds of deer, rhinoceroses, wild boars, monkeys, leopards, sloths and even Bengal tigers. You can also see many other smaller mammals that have made the Chitwan National Park their natural habitat. Also visit Tharu Cultural Museum. Overnight stay at Chitwan National Park. Morning breakfast at hotel then drive towards Lumbini – the birth place of Lord Buddha. On arrival check in at hotel and enjoy a day free for leisure. Overnight stay at Limbini. Morning after breakfast at hotel full day sightseeing of Lumbini visiting the famous Ashoka Pillar: built in the year 259BC, this pillar was built by King Ashok, who was a follower of Buddhism. When he constructed this pillar, the King as a respect to this place exempted the villagers from paying tax and gave out 100 golden coins to the people. Maya Devi Temple: This temple is dedicated to the mother of Lord Buddha named Maya Devi who gave birth to Lord Buddha at this place. Pushkarini Holy Pond: It is said that Maya Devi the Lord Buddha’s Mother bathed in this pond before giving birth to Lord Buddha. It is very sacred pond and water in the pond is believed ti have medicinal properties as well. Also you can visit the Crane Sanctuary – built for the protect and breeding of endangered cranes in this area, the Sacred Garden – beautiful area around Ashoka Pillar & many monasteries in this area. Morning breakfast at hotel then drive to Varanasi. Reach Varanasi in the evening on arrival check in at hotel. Overnight stay at hotel in Varanasi. Early morning take a boat ride on the holy river Ganges to view the beautiful sunrise. Later walk through the narrow lanes to visit the Old Vishwanath Temple (the Golden Temple), Annapurna Devi Temple. After sightseeing transfer to hotel for breakfast then drive for Lucknow. On arrival check in at the pre booked hotel. Overnight stay at hotel in Lucknow. After breakfast city tour of Lucknow visiting - Bara Imambara and Chhota Imambara, both are imposing monuments with great historical significance. The buildings & structure of the in the city showcases the fine blend of Indo-Islamic and colonial era. Also give a visit to some other sites as well like: Dilkusha Garden, Shah Najaf, Ram Krishna Math, Moti Mahal, La Martiniere, ChattraManzil, must visit the old city in the evening. You can also do some shopping at enjoy the Nawabi food. Overnight stay at hotel in Lucknow. Morning after breakfast drive towards Agra, on reaching Agra, check-in at the hotel. You can spend an evening free for leisure. Overnight stay at hotel in Agra. Morning after breakfast at hotel sightseeing of Agra visit the Agra Fort, Itimad-Ud-Daulah and TajMahal - One of the Seven Wonder of the World. After sightseeing of Agra drive for Delhi. On arrival transfer to a pre decided hotel for check in, overnight stay at hotel in Delhi. Morning enjoy you breakfast then transfer to Delhi International Airport for departure. 4 nights in handpicked hotels or Luxury Camps. "A well organised festival at the Kisama Heritage Village in the first week of December for 10 days. The village has morangs that showcase the life of the various tribes in Nagaland.The dances, the songs,the food ,their costumes and their jewelry are on display.Most interesting indeed! " "Fantastic opportunity to see the Naga in their tribal costumes. The Festival itself is put on for tourists as an attempt to preserve the area's heritage. A riot of colour, singing, folk dancing and re-enactment of folk stories. Two days is enough..."
"En Kisama se celebra el festival anual de las tribus Nagas, lugar de encuentro y convivencia de las tribus que hasta hace poco luchaban entre sí." "I have to admit, that I do not like artificial vilages, but this one is an exception. At least when Hornbill festival takes place. All 16 tribes being present in one place in more or less every day fashion is a must to se"